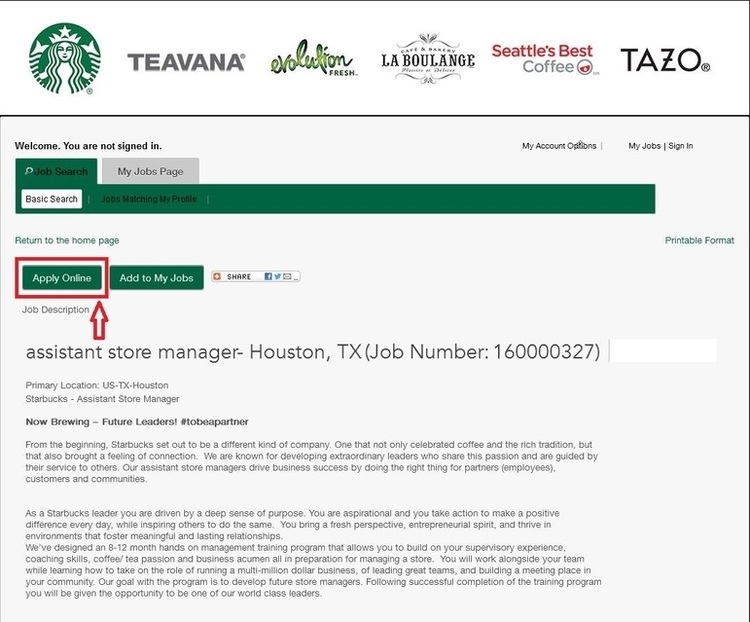 You can find the career center at the bottom of Starbucks official homepage - starbucks.com/careers, click on a career category to view available positions. 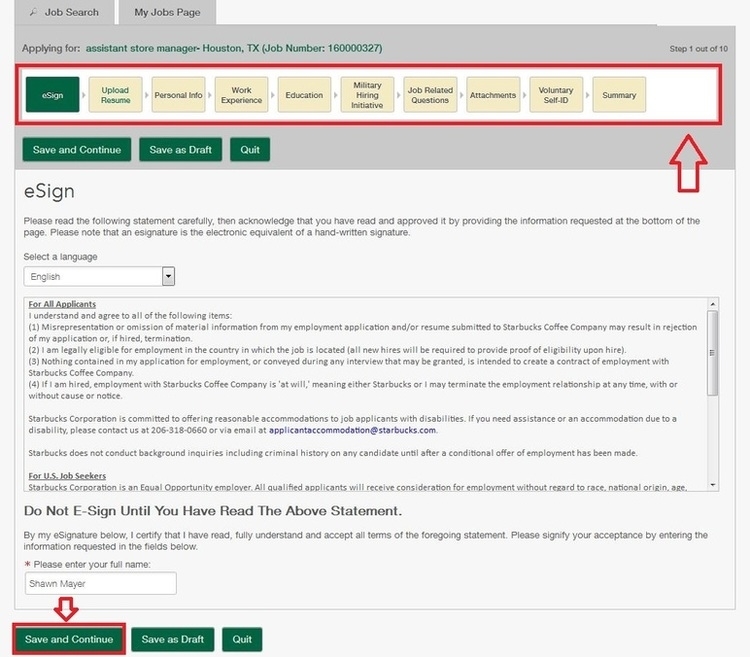 Select job field, location, and job level to refine the available positions you are interested in. The search results would be presented right on this page, and click on the job title to know about the job details. Read the job descriptions about the position you wish to apply for, and click on the “Apply Online” to start your application. 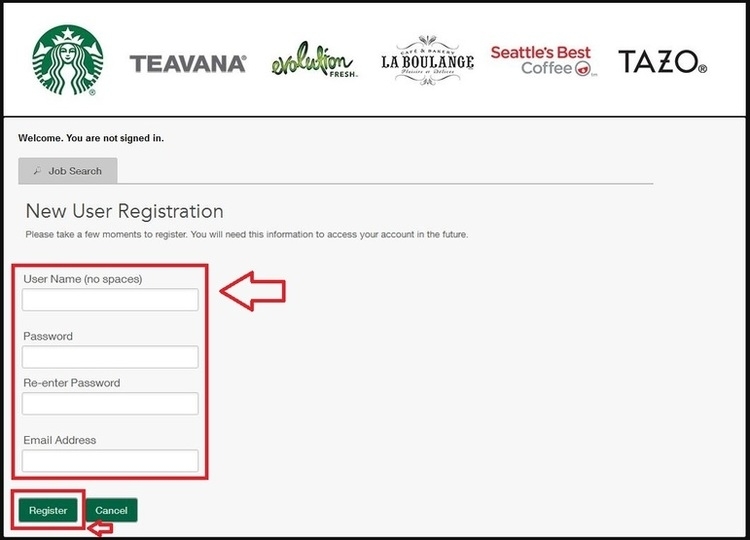 Access to the registration page to create a Starbucks account with a valid email address to proceed your online application. You are required to type 2 security questions and provide their answers. You are required to fill in all the ten parts of the application, including personal information, work experience, education, and job related questions, attachments, etc. 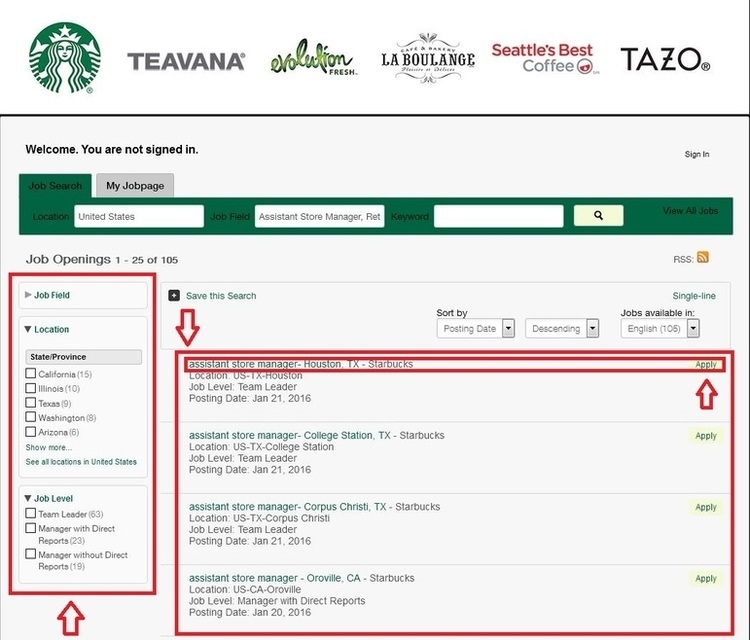 Click starbucks.com/careers to apply for Starbucks jobs online.